Business owners share a love-hate relationship with invoicing. They love it when it shows payday, but hate when you have to track and run for invoices. It is a tedious task and can be frustrating too. That is exactly why business owners all over the world are shifting towards the era of online invoicing. More significantly- Mobile Invoicing. 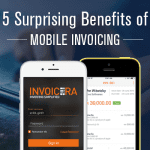 Most importantly, mobile invoicing will save you money. It will eliminate the cost of the pen, paper, ink, and an accountant to manage your payables and receivables. 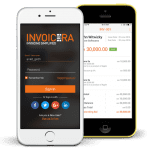 By shifting to an online invoicing solution that is also available as a mobile app, it will save you all the extra added costs. By utilizing the invoicing solutions available digitally, you no longer need to file, scan and manage your work on paper. It helps you easily delegate work to respective employees. One of the greatest revolution that mobile invoicing has brought is bringing your business to your pocket. Now you can access all your account data anywhere and anytime. No more hassle of carrying documents everywhere and worrying about the security of each. Whether you’re meeting clients back to back or traveling for meetings all the time, easily access your data on the go. The convenience of use is on both side by mobile invoicing. As convenient it is for you to generate, access and store invoices; as convenient it is for your clients to pay in time. By using a convenient option like mobile invoicing you will see a visible drop in delayed payments. With more than 30+ online payment gateways integrated with Invoicera, it gives you more options to receive early payments from clients. We all know the amount of paper that is been cut each year to generate paper. The world is already using an excess of it and now needs to cut it. It is estimated that online invoicing is more than 4 times environment-friendly than paper invoices. Beyond just saving paper it also makes the entire process of invoicing faster. It might seem a little insignificant to you right now but a slow and steady change can actually make a change for the generations to come. The majority of payment tools available online are integrated with additional beneficial features. But, the best ones are also integrated with a mobile app. Use of a mobile app for invoicing and financial management streamlines your entire process and makes it available to you at your ease. Integration is a need of time, to easily streamline your entire billing process. With mobile invoicing, you can easily save and access all your client information. It allows you to create and save data in the cloud, giving you abilities to easily access all your data at once. Information that is saved in the cloud is completely safe and secure. With Invoicera , you can save all the information about clients, taxes and even group them together. 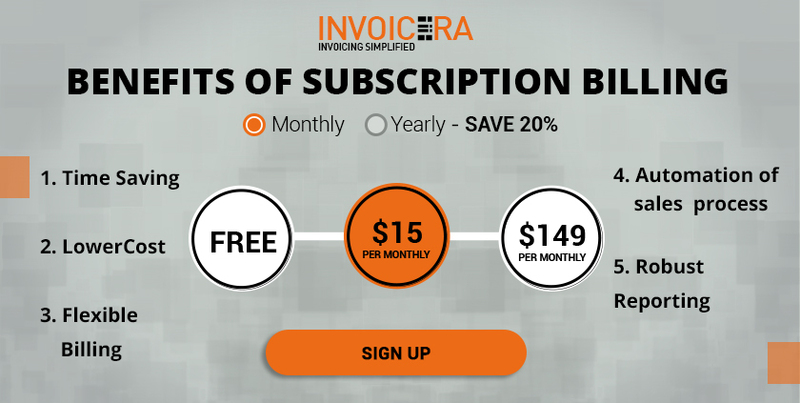 This way it makes generating invoices as simple as few clicks. 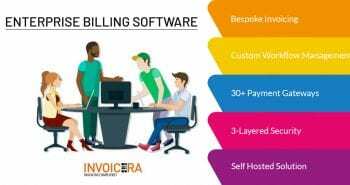 Online Invoicing software has not left any stone unturned to integrate the best of technologies together to make the experience of online invoicing wholesome. The economy is moving towards digital media massively. 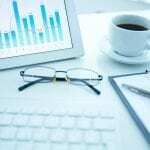 It is now hand in handwriting the growth pattern for businesses. 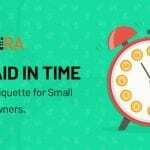 When it comes to invoicing you definitely want to keep up with the times. Your cash flow depends on it. Mobile invoicing has become one of the go-to tools for businesses to access their account when and how they like. They have easily brought your entire office to the convenience of your phone. The economy is expanding massively with the highly advanced technologies. Go Ahead and Give it a Try! Download the app anytime you want. Next postIntegrate A Custom Billing Software That Automates- Host Now!